Markets go up and they go down—a well known fact about global financial markets. However, experiencing the downside of a market cycle can be difficult and nerve-racking, especially for the first time, so let’s put market volatility into perspective. 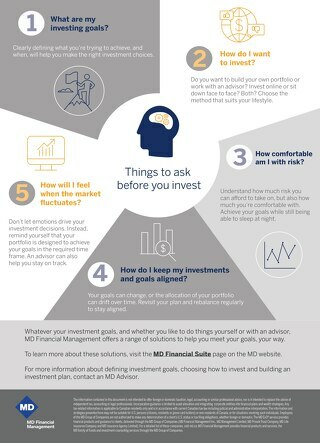 Understanding what it is and why it happens can be the difference between sticking to your long-term plan and achieving your investment goals or stumbling along the way. Missing the 3 up months that followed bouts of volatility in 2011, 2015-2016 and 2018 (October 2011, March 2016, January 2019) can severely impact long-term results. 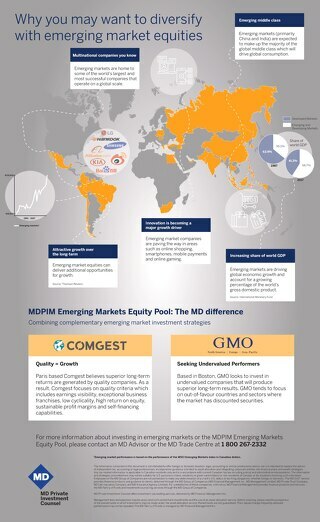 1 Portfolio: 20% Canadian equities (S&P/TSX Composite Index), 20% U.S. equities (S&P 500 Index), 10% international equities (MSCI EAFE Index), 50% Canadian bonds ( 25% FTSE TMX Canada Universe Bond Index, 25% FTSE TMX Canadian Short-Term Overall Bond Index). 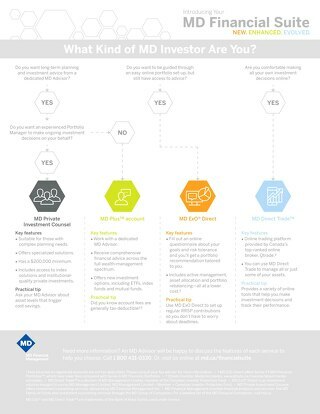 2 MD Advisor refers to an MD Management Limited Financial Consultant or Investment Advisor (in Quebec). The information contained in this document is not intended to offer foreign or domestic taxation, legal, accounting or similar professional advice, nor is it intended to replace the advice of independent tax, accounting or legal professionals. Incorporation guidance is limited to asset allocation and integrating corporate entities into financial plans and wealth strategies. 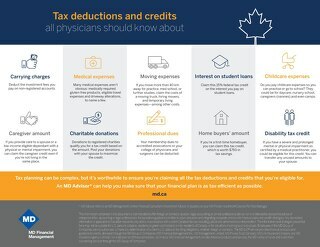 Any tax-related information is applicable to Canadian residents only and is in accordance with current Canadian tax law including judicial and administrative interpretation. 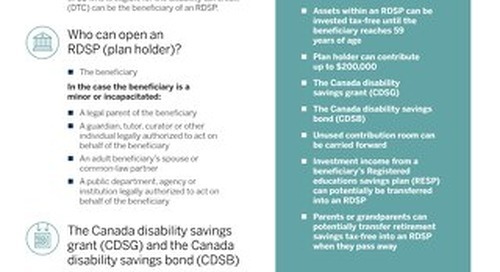 The information and strategies presented here may not be suitable for U.S. persons (citizens, residents or green card holders) or non-residents of Canada, or for situations involving such individuals. Employees of the MD Group of Companies are not authorized to make any determination of a client’s U.S. status or tax filing obligations, whether foreign or domestic. 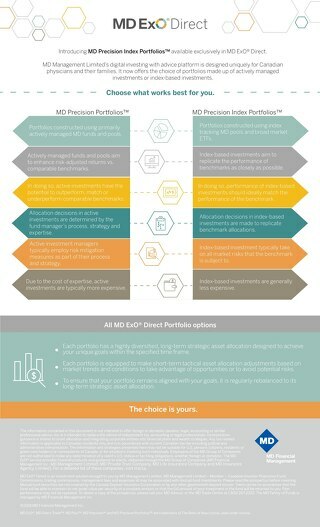 The MD ExO® service provides financial products and guidance to clients, delivered through the MD Group of Companies (MD Financial Management Inc., MD Management Limited, MD Private Trust Company, MD Life Insurance Company and MD Insurance Agency Limited). For a detailed list of these companies, visit md.ca. 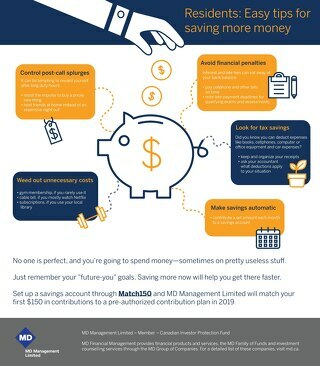 MD Financial Management provides financial products and services, the MD Family of Funds and investment counselling services through the MD Group of Companies. You may already have a will and power of attorney in place. 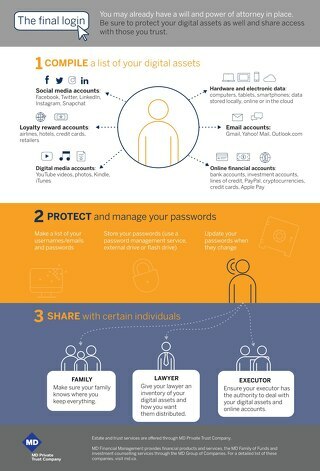 Be sure to protect your digital assets as well and share access with those you trust. 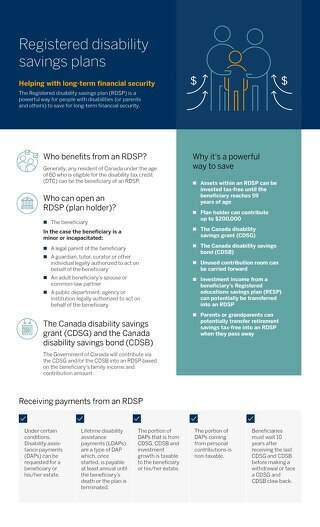 Tax-free savings accounts are more versatile than you think. 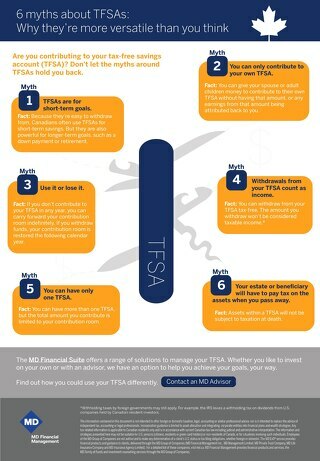 Don’t let the myths around TFSAs hold you back. 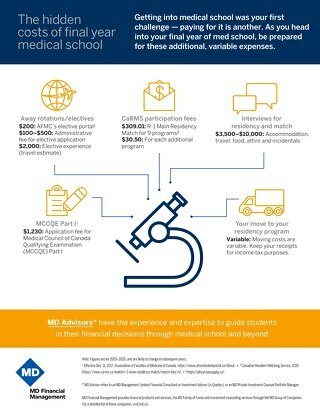 Ready to launch your career in medicine? 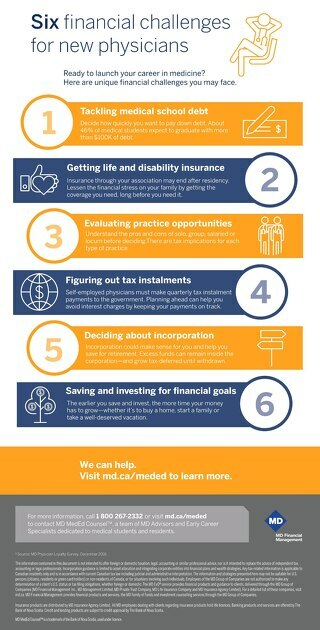 Here are unique financial challenges you may face. 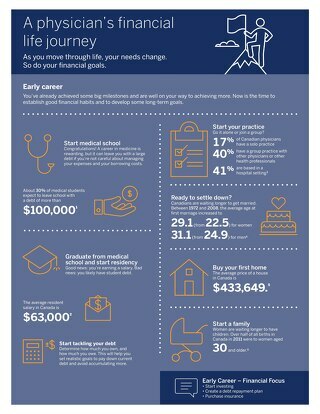 Getting into medical school was your first challenge - paying for it is another. 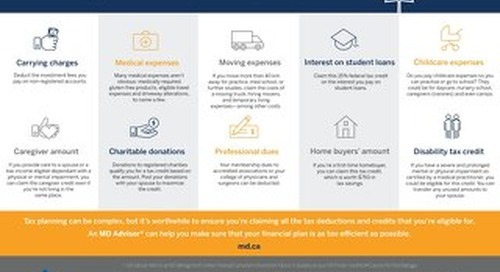 As you head into your final year of med school, be prepared for these additional, variable expenses. Embarking on a career in medicine is both exciting and rewarding. 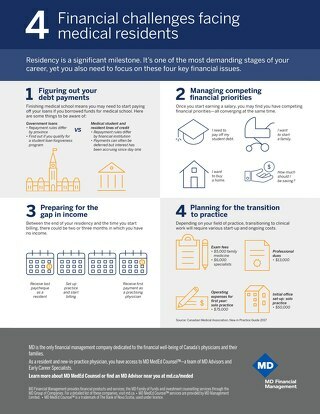 But during your training and as you begin practice, you could face some of these financial challenges. 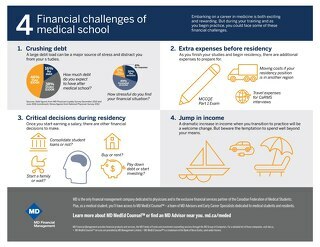 As a resident you incur many new costs on top of the debt you may have from medical school. Here are some ways to save a little extra.